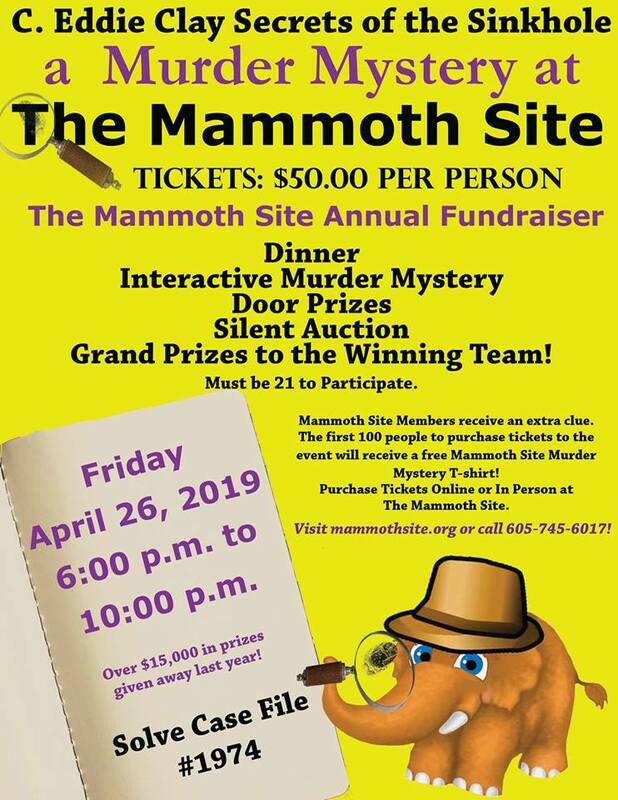 The Mammoth Site of Hot Springs, SD Inc. will be having a Murder Mystery Fundraiser. This is the 1st year for the C. Eddie Clay Murder Mystery “Secrets of the Sinkhole” at The Mammoth Site. The money that is raised goes towards the C. Eddie Clay Legacy, which is used for education programs at The Mammoth Site. The Mammoth Site is an education and research facility that allows visitors to learn about the Late Ice Age. Tickets are available online!